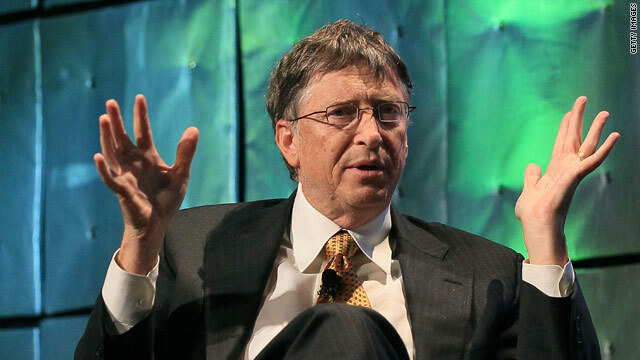 Bill Gates is a prime example of an introvert who is a successful leader, says Francesca Gino of Harvard Business School. (CNN) -- Outgoing personality traits are often associated with top corporate roles, but new research suggests businesses miss out when they fail to find and promote executives with more understated styles. Harvard Business School researcher Francesca Gino has found that introverts can play a crucial role in leading teams. Many of the strengths that people associate with leaders, for instance being dominant or being good at giving directives, are often the same traits that characterize someone who is an extrovert, Gino told CNN. But in a forthcoming paper, she argues that when it comes to day-to-day teamwork in the workplace, less obvious leadership qualities can become more important. She and her collaborators asked bosses to rate how extroverted they considered themselves and then studied how their teams worked. They found that extroverts were more dominant, drove conversations and were less receptive to new ideas. Introverts, on the other hand, listened to ideas, internalized them and were able to improve team performance. Gino said that introverts demonstrate superior performance when they are leading a team of proactive workers. "If you're working in a team that has lots of knowledge, where people are proactive [and] suggesting ideas for improvement, you would do better for the team if you took a backseat position and took the approach of an introvert, who is very careful in listening to suggestions." In reality the quality of being more quiet and being more receptive to different ideas is something that should be valued. Gino and her collaborators, Adam Grant from the University of Pennsylvania Wharton School and David Hofmann at University of North Carolina Kenan-Flagler Business School, are publishing their research next year in the Academy of Management Journal. Gino hopes the findings will help businesses realize the leadership potential of introverts. "In reality the quality of being more quiet and being more receptive to different ideas is something that should be valued," she said. It seems it's easier for extroverts to climb the corporate ladder, she noted. A 2009 study conducted by researchers from the University of Minnesota and Baruch College found that 60 percent of top level executives displayed high levels of extroversion. But introverts clearly have something to offer, Gino said, citing examples of successful introverted leaders, such as Amazon's Jeff Bezos and Bill Gates. "What we hope HR departments are going to ask about, or any executive board, is the value that an introverted person can bring to the table," she said. "We do need people who are able to listen to different suggestions and opinions and are able to value them." Extroverts feel more energized by social interactions whereas introverts are more energized by solitude -- but this isn't necessarily linked to how shy or good at, say, public speaking, someone is, says Nancy Ancowitz, a business communication coach and author of "Self-promotion for Introverts: The Quiet Guide to Getting Ahead." Introverts can use simple cues to make sure their value is not overlooked, Ancowitz said. "Sometimes it's raising a finger, leaning forward, saying someone's name -- any of those cues can work. "The important part is you need to be heard, you need to make your contributions known, otherwise you can get passed up for the raises and other people get the credit for your hard work." Some leadership traits might come a little bit more naturally to extroverts, according to Jennifer Kahnweiler, an executive coach and author of "The Introverted Leader: Building on Your Quiet Strength." "It's more in their nature to build rapport, stop and have a conversation with somebody," she said. To them, doing that "is like getting out of bed and brushing their teeth." Kahnweiler, who defines introverts as low-key thinkers who are energized by solitude and prefer in-depth conversation to casual chatter, interviewed introverted executives who successfully climbed the corporate ranks. These leaders, she says, had learned to put careful thought into their social presentation at work and to manage expectations so that bosses and co-workers could see the up-side of their personal work style. "How we're perceived in organizations matters," she told CNN. The executives she studied had a hyperawareness about how they were viewed and managed it to their benefit. According to Gino of Harvard Business School, one of the key takeaways from her research is that anyone can learn to practice effective leadership. In her study, she found that regardless of their personality type, when pushed to try different styles, people were able to learn the positive leadership characteristics of both introverts and extroverts. "What the [findings] suggest is that no matter who you are and what your disposition is, you can push yourself," Gino said. "Some people may just need to push themselves a little harder and use an attitude that sets the situation."